Since 1952, Dettson Industries has worked relentlessly to develop innovative products adapted to the needs of the North American population with a particular focus on the Canadian market and its different climate zone requirements. Throughout the years, Dettson Industries has evolved from being a major manufacturer of heating appliances to the development of sustainable space conditioning solutions. Going forward, the development of finer controls coupled with a growing knowledge of thermodynamic applications will offer residential competitive systems with increased comfort. It will allow Dettson Industries to become the key manufacturer of the HVAC (Heating, Ventilation, Air conditioning) industry in North America, or even the emerging large dwarf. The creative corporate culture of Dettson Industries is a key factor to its many successes. It provides great flexibility regarding the capacity to develop effective solutions that the customers are looking for. The company has been able to nourish and maintain its commitment to constant innovation. 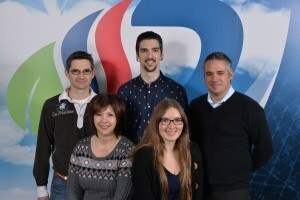 Since October 5th 2010, Ouellet Group, which is headquartered in L’Islet, Quebec, had acquired Dettson Industries Inc. The President and CEO of Ouellet Group, Mr. Martin Beaulieu, is proud of this strategic addition to the group which already possessed five other business units inside the group; each one of them having its own financial statements. At the time of acquisition by the Ouellet Group,Dettson Industries’ activity focused specially on oil-fired and electric warm air as well as hydronic heating systems for residential and light commercial applications. Dettson Industries also manufactured gas warm air and hydronic systems through the ’80s and ’90s. Mr. Beaulieu planned to develop this company by restoring its spirit of growth in unison with an experienced management team already in place, as well as by the addition of new resources. Let’s not forget the contribution of all the Sherbrooke plant’s employees, their know-how as well as their commitment has been well demonstrated over the years. Dettson 3.0 delights our employees as well as our existing and potential customer partners. In 2011, an action plan including new client solutions was established concerning the development of new innovative products that are adapted to the different climatic requirements and to the building code changes across all North-America. Mr Beaulieu is proud to see the expected actions and improvements taking shape since. It explains why our shareholder has always showed support to Dettson’s management team and all the employees in this significant shift. Nowadays, at the end of 2015, there is still much work to do in order to reach our set technologic aspirations and targeted growth. In addition to an extraordinary shareholder, Dettson Industries feels privileged to have such high-quality associates from Building Science or different labs as well as builders, contractors and distributors. Since the very beginning, Dettson Industries has constantly delivered on developments. As outlined below, on numerous occasions under the ownership of Mr. André Lespérance; the company was recognized for its ability to market innovative and efficient products. 1993 Development of the «Geyser» which will prolong the delight of bathing and swimming. 1993 Integration of the Clare Platform (Refractory oil furnace). 1992 Creation of versatile units in which the position can easily adapt to the needs and space available. (Forced Air Oil Furnace). 1992 Development of a heating unit permitting the integration of all other related air treatment products. Integration of air conditioning controls for instance. 1990 Incorporation of a sound-proofing system to units, without affecting performance and functioning costs. 1989 Launching of the Dual Energy units; electric and oil series AME (forced air system) and HME (Boiler). Hydro-Québec mandates the development of dual energy units to Dettson Industries which immediately became the ‘reference’ in the industry. 1988 Creation of a side-wall evacuator; specifically conceived to meet the demands of our rigorous climate. 1987 Launching of the Gas Boiler series: HGRC (residential) and HGC (commercial). 1986 Development of smaller units permitting the maximisation of liveable space in homes all while keeping the same efficiency. 1985 Initiative permitting better efficiency and reduction of combustion emissions in the atmosphere. 1984 Introduction of this material in the fabrication of heating units; increasing their durability considerably. 2015 Launch of our Smart Duct System®, which consists in the various components allowing to realise our HVAC in A Box®. This system, in combination with our Right-Sized System®, allows to better conditionate the low-load heating and cooling homes whether at Net Zero or Energy star level. Increasing numbers of builders offer tight residential products. 2015 Launch of the new version of our Hydra Compact which integrates the same control used with our 2 other Hydra electrical boilers, as well as offering 6 different installation configuration options. 2015 Launch of our cooling offer through the Alizé variable speed side discharge outdoor unit which allows modulation for low airflow operation, providing the most quiet and efficient central system in the North American market, the Right-Sized system® also contributes to reduce issues to the builders and homeowners in relation to the new building codes. 2015 Launch of our newborn tool for the multifamily residential market, the multiposition Chinook Compact gas furnace. By far the smallest gas air handler available in the market, this was requested by the builders and gas utilities both in Canada and in the US. 10″ wide and 22″ tall, it is now providing a gas fired solution to this fast growing market. This appliance also can be matched to our Alizé cooling unit to provide the Right-Sized system®. 2014 Development of our Right Sized-System®, which consists of combining the controls as well as the appliances for modulating heating and cooling at low CFM thus constant air flow for the residential market. We are the first manufacturer to provide such a system which is more appropriate in the new residential envelope that the new building code commands, making the home much more comfortable for the owners and drastically reducing the call backs issues for the builders. 2014 Launch of our modulating Hydra Industrial electrical boiler, the most compact solution for industrial hydronic applications. 2013 Launch of full gas furnace Chinook range 45.000 to 120.000 BTU. (most compact in the industry) Launch of the Revolution Hydra electric boiler (15-29 kW), the most compact electric boilers on the market. Development of the first fully controlled product in Dettson Industries to Provide interface and aesthetics for Hydra Revolution. 2012 Launch of the Hydra Compact (3 to 12 kW) electric boiler. Collaboration with the NGTC, for the development of a high-efficiency condensed gas furnace. 2011 Launch of the very compact and very efficient; forced air oil furnace residential series; AMP and AMT. 2007 Development of the electric boiler Hydra Evolution (9 to 29 kW). 2004 Development of the forced air electric furnace Supreme. 2003 Launching of Hydra electric boiler. 2001 Development of the AMP and AMT series, commercial oil burning furnace. 1998 Development of sealed combustion. 1996 Renewal of the Hydra electric heater by Dettson Launching of the domestic hot-water heater.